This episode of the MAPS Podcast is from the Psychedelic Science 2017 conference in Oakland, CA. 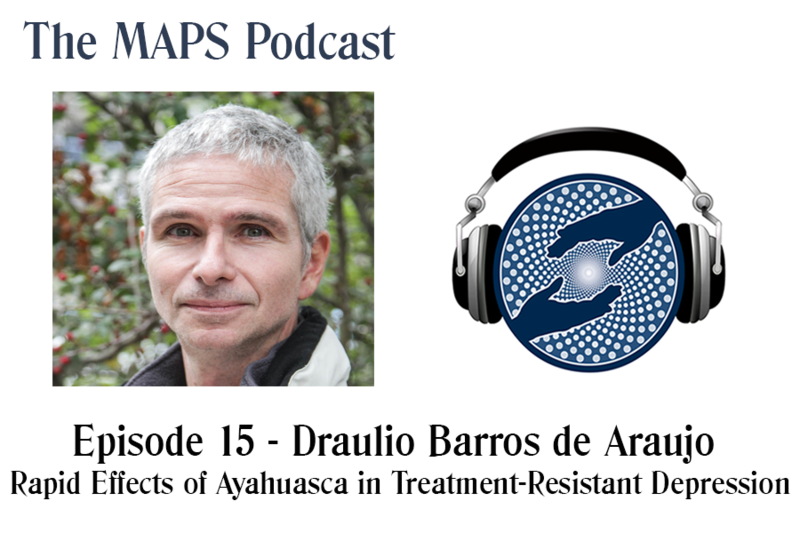 Draulio Barros de Araujo gives a very compelling and engaging talk on his research into the use of Ayahuasca in Treatment-Resistant Depression. It seems that life in the modern world sees that depression issues touch nearly everyones life either directly or indirectly. Research into how these plant medicines can unlock certain parts of the brain to aid in natural anti-depression re-balancing functions is very eye opening. The research isn't fully matured yet but is well on its way. Draulio Barros de Araujo works as a professor in neuroimaging at the Brain Institute, Natal, Brazil. Since 2006 my research has focused on using functional neuroimaging methods (EEG and fMRI) to investigate the acute and lasting effects of a psychedelic called Ayahuasca. Our research group has also been studying the antidepressant potencial of Ayahuasca.